If you're going to make a multi episode of a production you don't have to export the title or re-create the same title each time. Premiere allows you to save your titles as templates which will always be available to you. 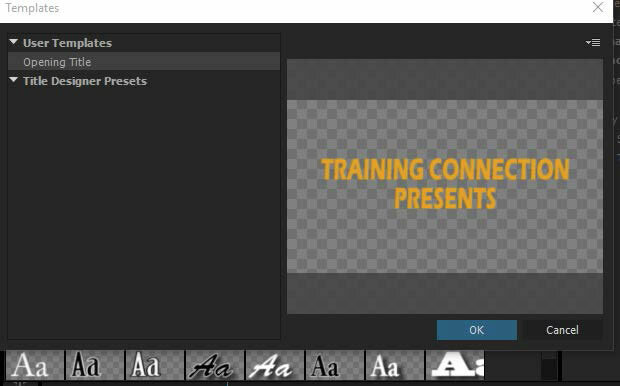 Need training in Premiere Pro? Our Premiere Pro certified, instructor-led training classes are the best and fastest way to learn this program. Public classes are available in Chicago and Los Angeles, plus our trainers can deliver onsite training right across the country. 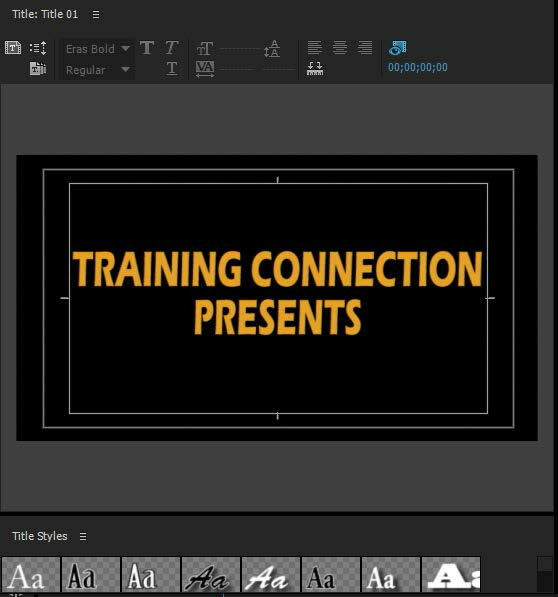 Obtain a quote for Premiere Pro onsite training. 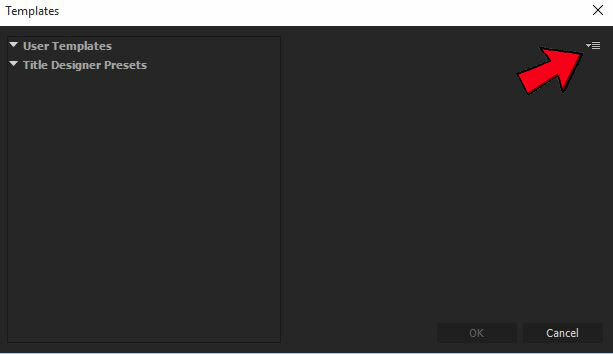 In Premiere Pro click on Title > New Title > Default Still. Name the Title and then create a new title in title editor. Still in title editor click on the templates icon. In the template screen click on the upper right wing menu icon. 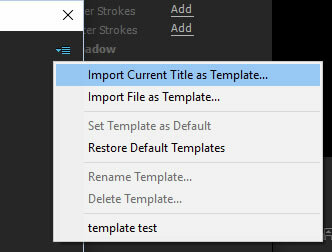 Choose Import Current Title as Template. In save as box name your title then click OK. Your Title will then be stored in the User Templates Menu. Then click OK. When you need the title for your next the next episode in your series you can click on the templates button then click on the title of your template under users presets. Double click on your title name under User Templates and the title will load the title in the title editor. Once in the title editor your text can be changed and updated. Live face-to-face training is the most effective way to learn Adobe Premiere Pro. We have trained hundreds of students how to use Premiere like pros. Click on the following link to view a sample of our Premiere Pro student testimonials.